Nigerian conspiracy theories involving unsolved murders of top Army officers in Nigeria was viewed to be so entangled by those who believe in such theories. Of all these Nigerian conspiracy theories, there are some whose line of reasons still begs for answers as they are riddled with conspiracies that span so deep and hard to dismiss even by the most skeptic minds as the theorists based their opinion on the principles that; nothing happens by accident, nothing is as it seems, and everything is connected. Nigerian conspiracy theories in this entry is about unsolved murders of high profile officers in Nigerian army which makes the cases more important to be resolved before they are laid to rest but the cynics and conspiracy theorist claimed these high profile assassination of top military brass may never be resolved due to the spiral web of conspiracies involved. Just like other Nigerian conspiracy theories out there, there is no factual evidence to support any of these claims of the assassination being politically motivated or otherwise but still, the entries on this list are worth checking and you can decide for yourself if they mean anything other than conspiracy theories. Friday 13 February 1976, was a dark day in the history of Nigeria as a sovereign state. Nigeria witnessed the murder of the president, Gen. Murtala Muhamed whose death is to become one of the most talked about among Nigerian conspiracy theories in decades. Gen. Murtala Muhammed along with his aide was assassinated on his way to work through George Street, Lagos in his Mercedes Benz at 8.00am. The conspiracy theorist claimed that Gen. Murtala’s death has political undertone of the Western powers. It was speculated that Gen. Murtala made several enemies as he was becoming too tough for the liking of the Western powers especially Americans during mid-70. First, he rejected the OPEC pricing guidelines which he believed put African countries at disadvantaged position. Then, perhaps what actually triggers his assassination, according to the conspiracy theorists, was the decision he made when he pledge Nigeria’s support for Popular Movement for the Liberation of Angola as against the nation’s neutral stand in early 70’s. General Alkali’s death also featured in the list of Nigerian conspiracy theories. General Alkali was a high profile officer in Nigerian army having served bravely for 35 years in several capacities until his retirement in August 7, 2018; a former chief of Administration and Acting General Officer Commanding 7 Division and many more. Gen. Alkali however get caught and died in the protest by the youth residents of Daura-Du district in Jos South Local Government, Plateau State in Nigeria. At least, this is the official story corroborated by the Nigerian Army but the conspiracy theorist claimed otherwise. Perhaps the fact that, Gen. Alkali was traveling with huge cash was the logic that fuel conspiracy theories. On the day General Alkali died, he was believed to be carrying sum of 3 million naira in his car with which the military claimed he intended to pay his farm workers or was he going to pay the unknown gunmen that killed people of Daura-Du community earlier? The protest staged by the Daura-Du youth was in response to the innocent killing of 21 members of the community overnight by unknown gunmen the previous night. One of the Nigerian conspiracy theories claimed the general couldn’t have been carrying such huge cash about only to pay his staff since his bank can do that faster and effectively except he was going to pay the unknown gun men for their service or broker a similar deal. This sound stupidly unconvincing enough, but ain’t all conspiracy theories? The most fresh of all the Nigerian conspiracy theories involving the death of top army officers was the one on the recent assassination of Air Chief Marshal Alex Sabundu Badeh while returning from his farm on 18th December 2018. Perhaps what makes this conspiracy theory more popular was the involvement of the Ex. Chief of Defense Staff in financial scandal while still in the service. One of the leading conspiracy theorist in this stance was self-exiled leader of the proscribed Indigenous People of Biafra, Nnamdi Kanu who claimed late Alex Bade was killed by the Wife of the president, Mrs. Aisha Buhari and the president’s Chief of Staff, Mr. Kyari. Nnamdi Kanu opined that the threats made by the Ex. Chief of Defense Staff to both wife of the president and the president’s Chief of Staff after he, Badeh, was refuse any assistance as regarding his corruption cases pending in court was the reason he was assassinated. Other high profile personality who shares similar view was the Ex. Nigerian Minister of Aviation, Mr. Femi Fani Kayode who said the killing was just too convenient. Fani Kayode believed the offence committed to those who killed Alex Bade was his threats to reveal alleged Buhari’s administration involvement in the Boko Haram insurgency activities in Nigeria. Lt. Col. Abu Ali was probably the finest soldier Nigeria has ever seen in her long war against insurgence. He was specially promoted for recognition of his gallantry in the fight against Boko Haram in 2014 and despite his commitment to help get rid of the appalling insurgence, he and six of his men were ambushed and killed by the Boko Haram insurgents at Mallam Fatori on November 4, 2016. 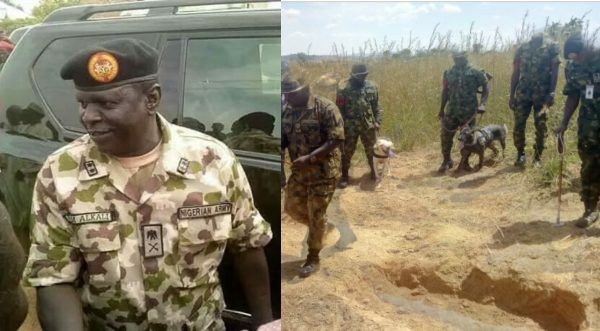 The death of Lt. Col. Abu Ali and his men spark of one of the toughest Nigerian conspiracy theories due to suspicious conditions surrounding his death. The conspiracy theorist claimed the death of Lt. Col Abu Ali and his men confirmed their suspicion about the complicity of top army officers in sustaining Boko Haram at the behest of unsuspecting Nigerians and that the force public relation department has deliberately continue to feed false information to the public about the state of things concerning the insurgency activities in Nigeria. Earlier, the mercenaries and Chadian troops who fought alongside men of Nigerian army during the regime of President Goodluck Ebele Jonathan were withdrawn as the new government terminates their contract. The controversy however was why the sudden withdrawal of the mercenaries when the army was just gaining upper hands on the insurgents? Lt. Col Abu Ali was ordered by his superior officers to reinforce the troops at Mallam Fatori who are under attacked by the Boko Haram insurgents. On that fateful Friday morning, available Intel from the military revealed that one officer and 49 soldiers were ordered to withdraw and reassigned to another mission undisclosed. Boko Harams strike on that very night, an indication that the insurgent seems to have this Intel first hand. Why were the soldiers withdrawn on that fateful day? Could it be a plan to kill Col. Abu Ali who seems to be getting ahead in this fight at the expense of his corrupt superior officers who are making fortune in this war? These questions formed the basis of Nigerian conspiracy theories surrounding his death. 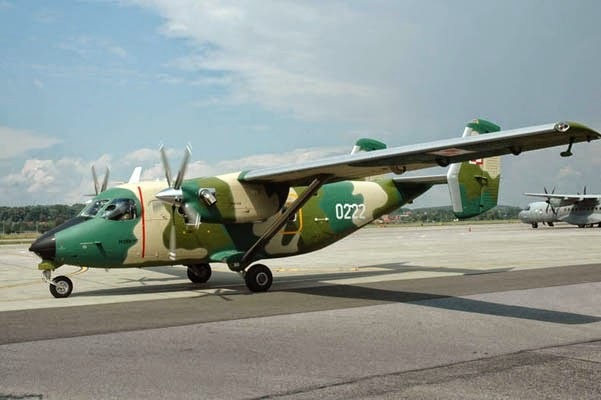 Occurrence of military air disasters over the past two decades has often been a major part of Nigerian conspiracy theories. One of the weirdest of such air disaster was the plane crash that killed 163 military personnel in 1992 which practically wiped out entire generation of army officers in Nigeria at that time. In 2006, President Olusegun Obasanjo, an ex. Military head of state, was at the IMF meeting in Singapore when Nigeria military plane carrying top military officers crashed killing 8 major-generals, two brigadier-generals, one Lt. Colonel and a pilot. The conspiracy theorists question the timing of this plane crash. Nigerian unity at this time was under strain with various ethnic groups constantly suspecting each other for plan to marginalize or sabotage. This situation make the military the only truly national institution,therefore a commitee was set up to reposition the Nigerian army. Thedeceased military officers involved in this accident were members ofthis commitee hence the suspicion, according to the conspiracy theorists, that the military might plot a coup. They speculate that Ex. President Olusegun Obasanjo have special Intel, being an ex. military general, on the plan of these military officers, who were in the top echelons of the Nigerian army, to topple his government, therefore he order their death through the only means that would never link back to him while away in Singapore.